When your eCommerce business grows to the point where you can no longer package and ship the orders yourself, it s time to consider outsourcing your order fulfillment. Fulfillment warehouses offer small business the opportunity to compete with the big dogs. 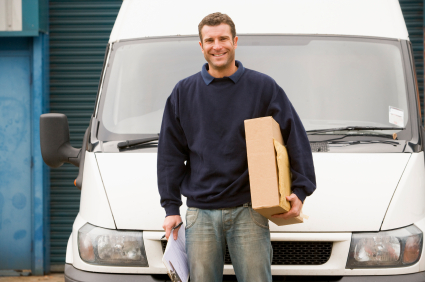 Let’s take a look at the benefits most fulfillment warehouses offer to small business owners. Inventory is stored off-site, enabling the small business owner to store a larger variety and quantity of inventory. The Fulfillment center will receive and organize your inventory. Most have a web-based application where you can login and view your current inventory, as well as, the history of each item. Fulfillment warehouses usually accept shipping requests via a web-based application, by emailing your invoices or an order spreadsheets e-mailed directly to the warehouse. When the shipping requests are received, the items are automatically packaged and shipped to the customer. Most fulfillment warehouses have a web-based application where you can login to view the status of an order. Some warehouses even notify your customers of their order tracking numbers. n the world of eCommerce, where consumers aren t able to examine products before they are purchased, returns and exchanges are commonplace. Fulfillment centers manage returns and exchanges by examining the returned items. Then the items are placed back into inventory or into the damaged item bin. The time that you normally spend packaging orders, tracking inventory, and dealing with returns, can now be focused on growing your business. Use this time to expand your product line, enhance your website, promote your business or expand into new markets. You can find fulfillment centers online or in your local phone directory. Although most fulfillment centers provide the same basic services, their prices and methods differ from warehouse to warehouse. Some fulfillment centers base their fees on a sliding scale and require contracts while others charge per item or per order with no contracts. When choosing a fulfillment center, create a checklist of the features you would like. Interview a member of the warehouse staff, as well as, their references to make sure the warehouse will meet the needs of your growing ecommerce business.